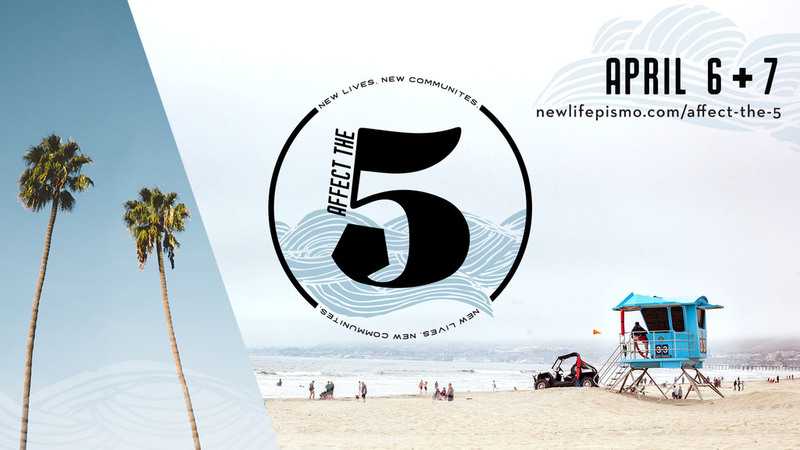 At New Life we want to be a part of what God is doing in the 5 Cities…and beyond! We believe the sign of a healthy church is a healthy city…or five. So we are always looking for ways to practically serve our communities. Affect the 5 is all about getting outside our church walls and getting our hands dirty in order to bring hope and practical help to our cities and to those that live within them. While we are involved in our community all through the year, Affect the 5 is a weekend where we team up and move out to meet the needs across the 5 Cities communities, sharing t the love of Christ in practical ways such as yard work, beach clean-up, painting, fence repair, and blessing to those who may be in need of a little more assistance. If you didn't register but you can still help us out, we still have room/needs on a few of our teams. Just show up on Saturday at 8am and we'll gladly plug you in to a project!